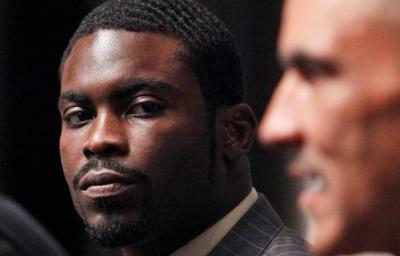 *Although its behind him, Michael Vick’s dog fighting past could back to bite him. But in the meantime, as he awaits any new developments with the situation, The Philadelphia Eagles quarterback, along with retired NFL coach Tony Dung, spent some time sharing his life lessons with inmates at a Tampa-area prison on Saturday. With a group of 35 volunteers with Abe Brown Ministries, the NFL star spoke to 1,000 inmates and soon-to-be released prisoners at Avon Park Correctional Institution. Coach Dungy’s supported the non-profit for years now and encouraged Vick to be a part of it. Keep on keepin’ on Mike!